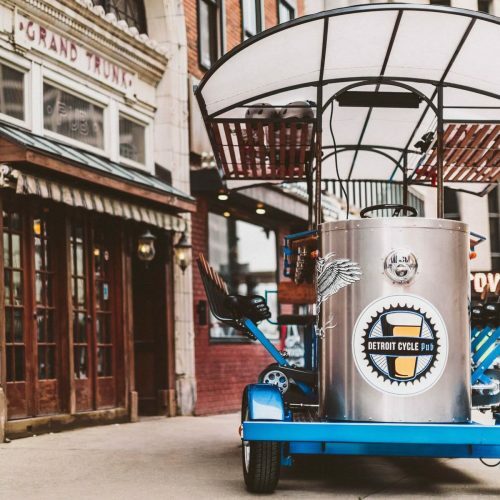 Detroit Rolling Pub was established in 2015 after we noticed them popping up in other major cities and we knew we needed to bring this to the greatest city in the world. 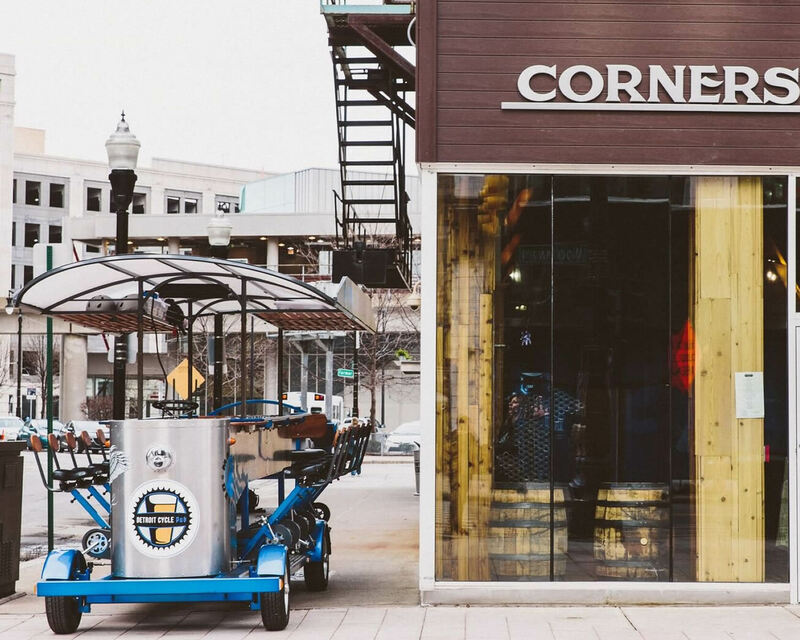 We knew this would be a fun way to bring people to the city of Detroit and check out everything that was happening downtown. We initially started with one bike, but the demand for our tours was so great that we quickly added 3 more to our fleet and due to demand we are again adding more bikes (built right here in the USA ) to accommodate all of you amazing people. Detroit is on a resurgence and to be there in the middle of that and be a small part of this amazing comeback and show the world how amazing Detroit is, is something we pride ourselves on. We are the #1 Pedal Bike in the state for a reason. Don’t take our word for it, just check out our THOUSANDS of reviews! We have taken every kind of group and outing out possible in our few short years (Birthday parties, Corporate outings, Bachelor and Bachelorette parties, Bar & Bat Mitzvahs), you name it, we have done them! We have the best tour guides in the WORLD to give our groups an experience that is like no other! Seriously just go read the reviews! We’ve partnered with Kenny Chesney and Michigan’s own Kid Rock so you know we are the best for a reason!! 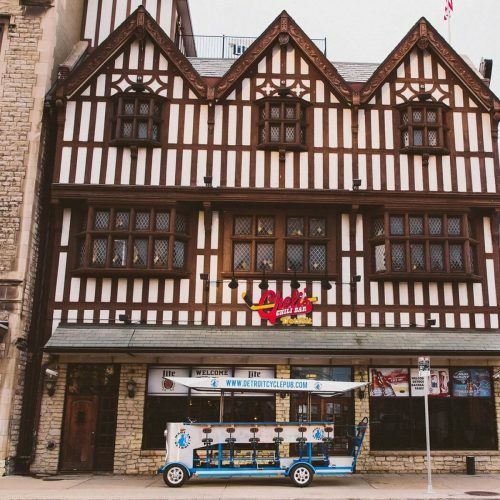 So, whether you’re going downtown for a sporting event, dinner or just because we got you covered. 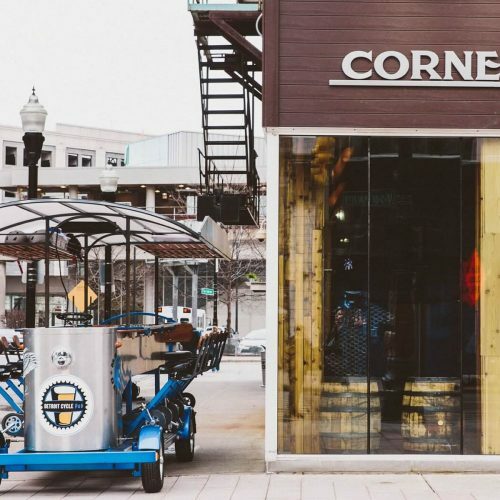 Come enjoy Detroit from a rolling bar that you will never forget! 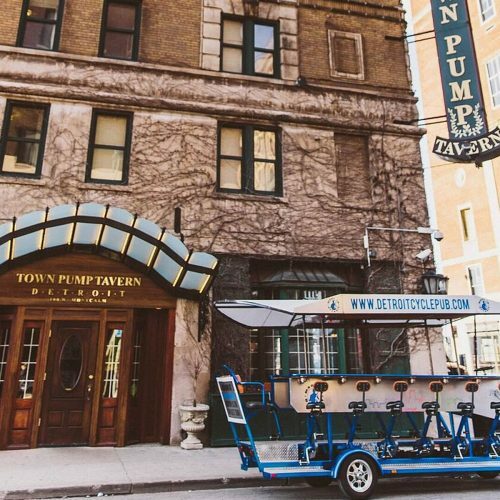 We are Pedal Pub Central! 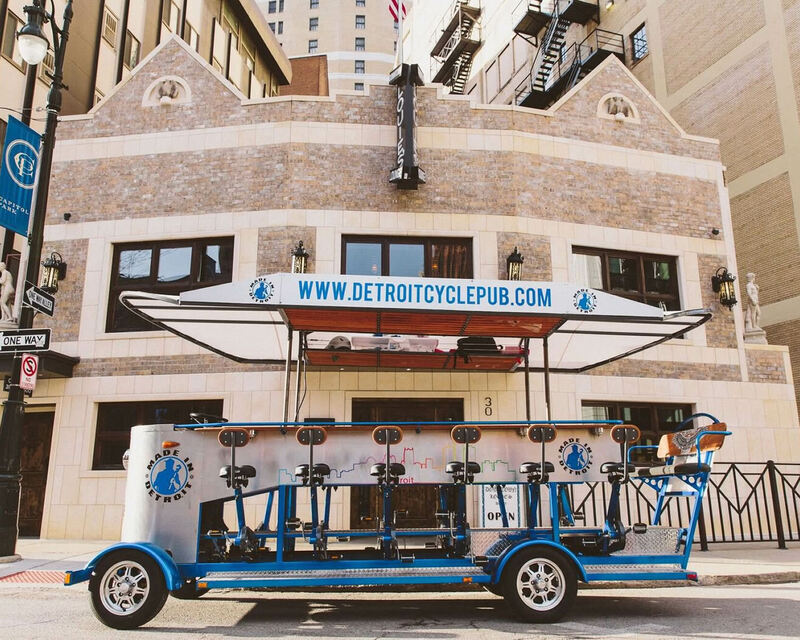 Detroit’s Highest Rated Pedal Pub! 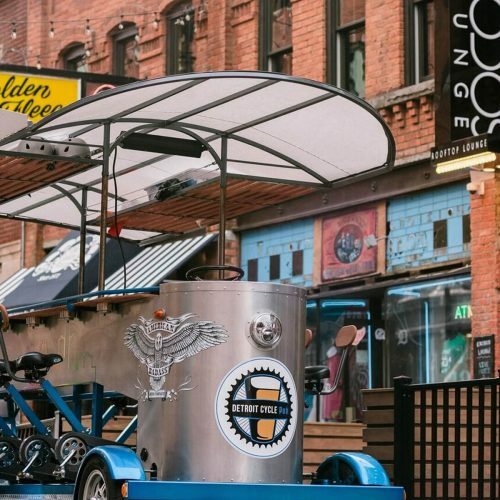 The Detroit Rolling Pub is the most popular Pedal Pub in the city and the most unique way to experience the best of Downtown Detroit! 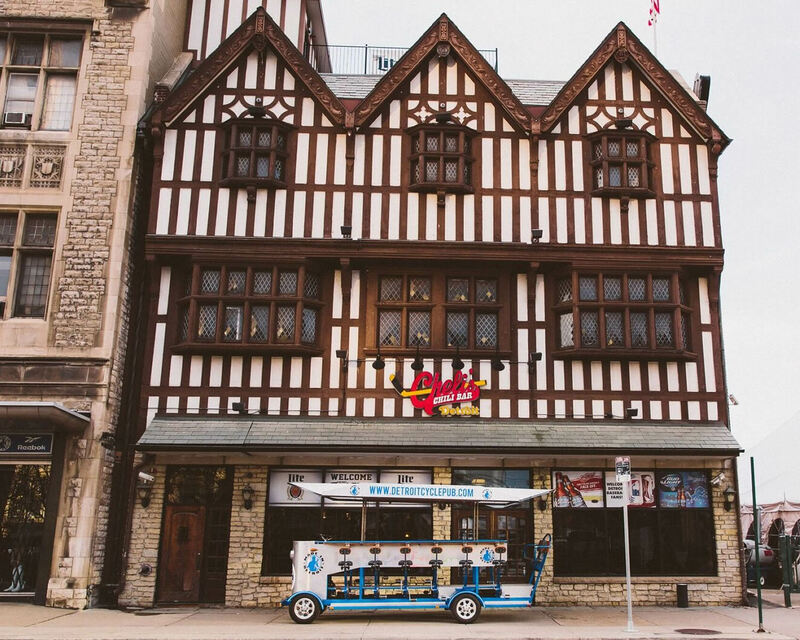 Hop on our fleet of pedal bars and cruise through town to the best bars, restaurants ballparks and stadiums while our driver/tour guide takes care of you every step of the way. 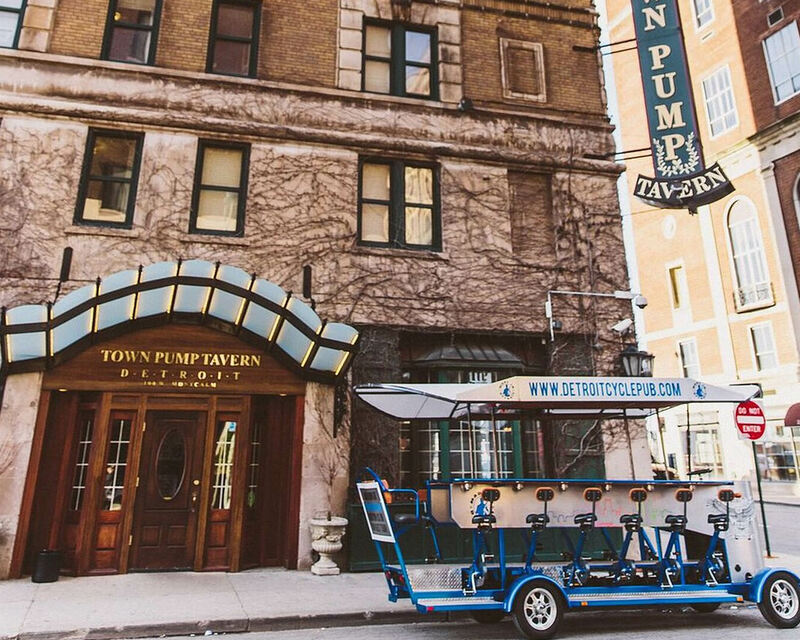 Pedal Pub riders get exclusive specials at many of the cities best bars and restaurants. 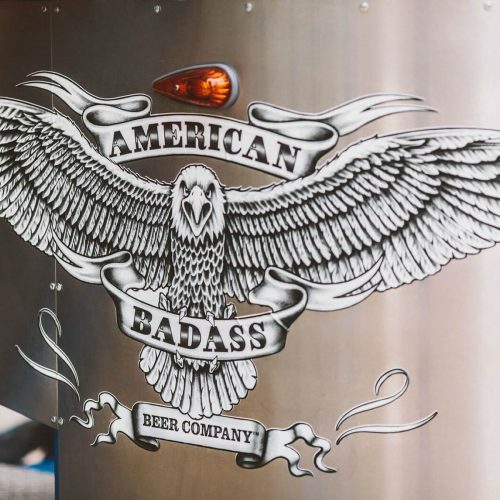 Michigan’s own Kid Rock & Badass Beer is an official partner of the Detroit Rolling Pub. 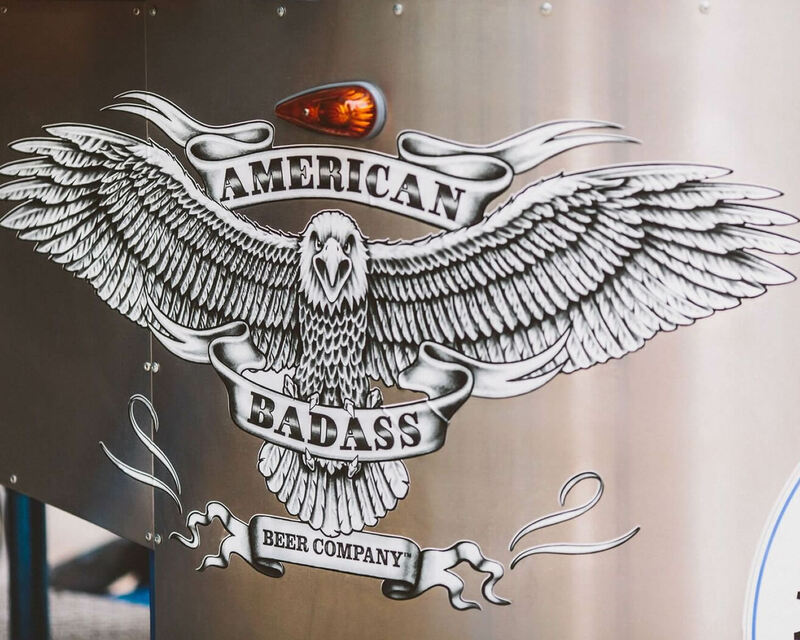 Interested in advertising with Detroit Rolling Pub? Give us a shout! You bring the bar, yes you read that right! Beer, wine and liquor are allowed (no kegs unfortunately)! 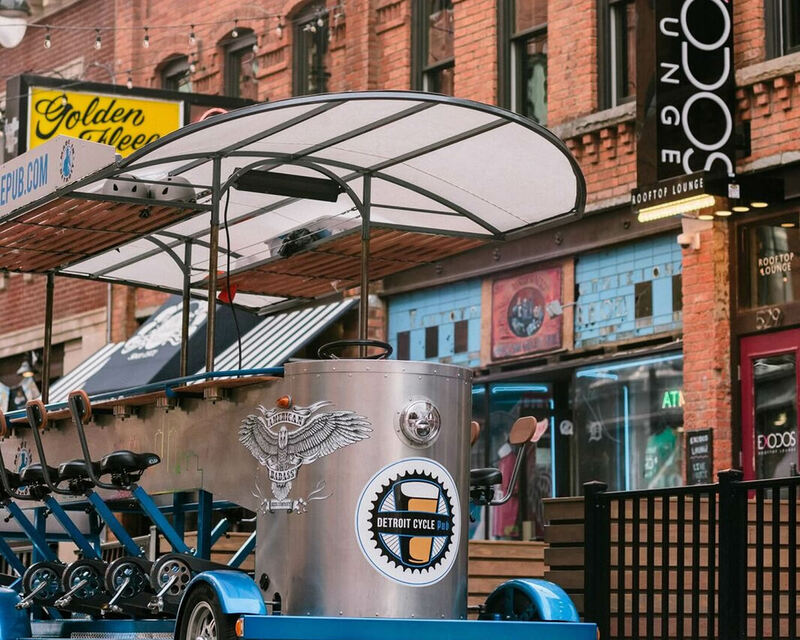 We have a total of 4 pedal pub bikes, each configured similarly with 10 pedaling seats, 2 passive bike seats and a comfy bench that fits 3 more on the back. Check out some of our Rolling Bar Reviews! 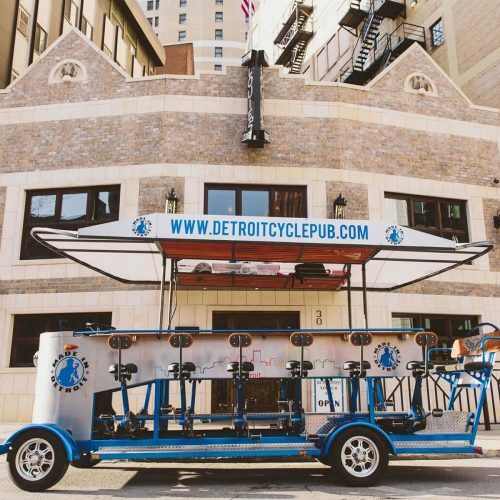 Our Detroit Pedal Bar features include adjustable seats, the only Detroit bar bike with seat backs, cup holders, electronic pedal assist, overhead storage bins for your personal items, a sound bar so you can listen to your favorite tunes and cool mood lighting! 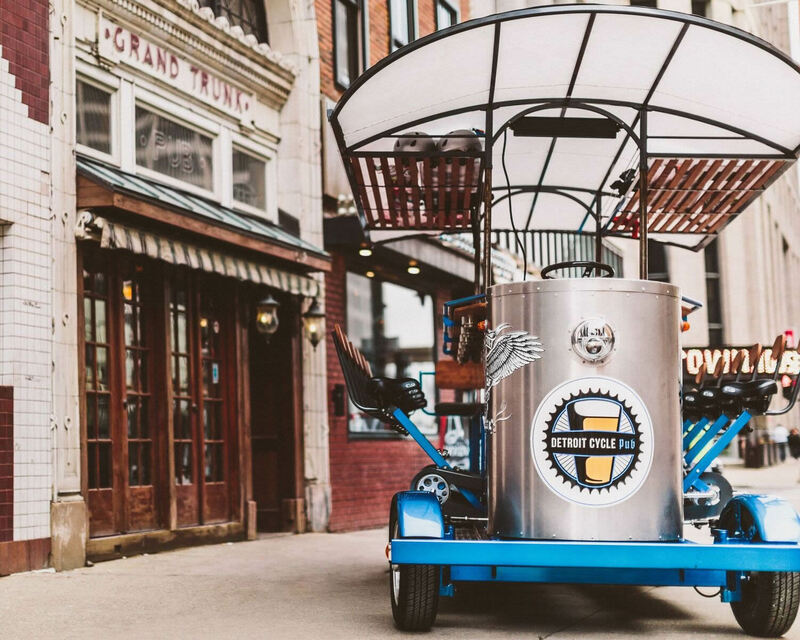 Our tours include the Pub Cycle, coolers, optional helmets and your tour guide/driver.